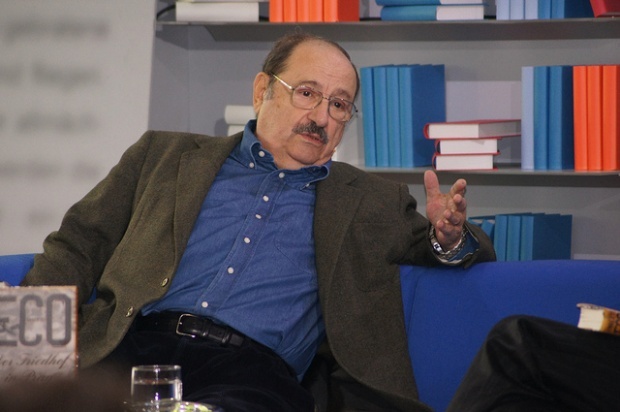 The great Italian literary critic, philosopher, novelist, and University of Bologna semiotics professor Umberto Eco died last month. On the surface this event is probably of little consequence to professional urban planners. However, by the end of this essay I hope to make the connection between Eco’s work and urban planning a little clearer. 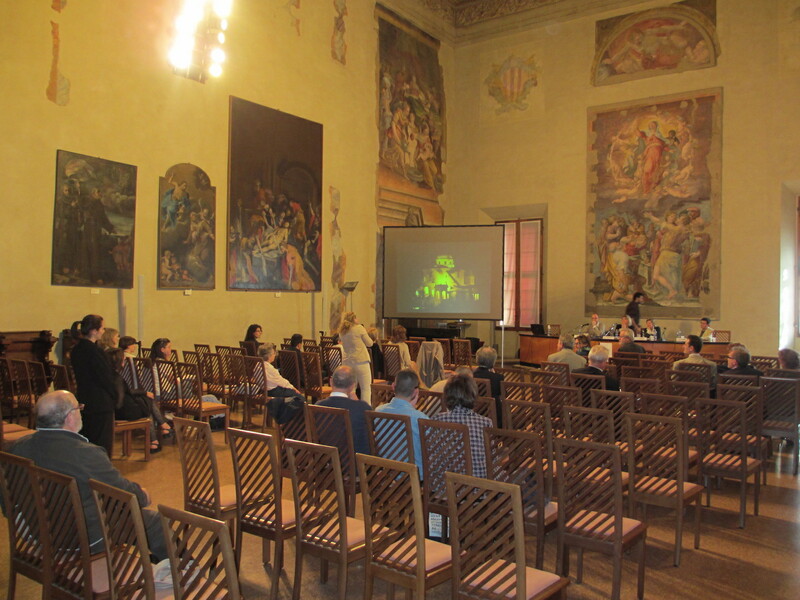 The Bologna conference included papers on urban destruction and regeneration, urban “mapping” (in both its physical and ideological senses), urban sustainability (including problems around fear and security), and representations of the urban (including case studies of Venice, Paris, London, Mumbai, and Rio). Dushko Bogunovich, a professor of Urban Design at the Unitec Institute of Technology, New Zealand, set the tone with his presentation “The City and The Crunch: Contours of a Pending Disaster.” Bogunovich predicts an impending “perfect storm” for cities wrought by climate change, population growth, resource depletion, and biodiversity loss. He suggests that to weather the storm we must change our collective institutions (what Dushko terms “groupware”), individual behavior (“software”), and technology (“hardware”). One of Bogunovich’s key points is that low density urbanism is not necessarily a barrier to a sustainable future if it is resilient. This viewpoint very clearly contrasts with those who argue that the best path to urban sustainability is through central city densification. Most significantly, Bogunovich emphasized that what we do in our educational institutions will be key to addressing the emerging crisis. Specifically, we need to rethink dominant paradigms in town planning, urban design, and civil engineering. Guido Moretti, a Bologna-based urban planner and engineer, picked up on some of these themes. He struck a more hopeful note in a very interesting paper on “Protecting Cities” that examined urbanism in the Islamic tradition. Moretti detailed some characteristics of the often secluded medina that spring up, and thrive, in surroundings that present severe challenges of extreme heat and scarce water. The medina embody knowledge, accumulated over thousands of years, about how to plan and build in such environments so as to guarantee not only survival but also an intense, productive, and secure social life. Streets are lively, welcoming areas of socialization and commerce. Towers, domes, patios, underground canals, fountains, reflecting surfaces, and other elements of infrastructure harvest water from desert winds and sands and thermos-regulate the city. In Moretti’s words, the Islamic medina “represents a useful and topical reference point with respect to our wastefully expensive and negligent modernity.” In other words, they provide lessons in appropriate and sustainable urbanism. I’d argue that such cross-cultural reference points and lessons, along with the paradigmatic rethinking mentioned by Bogunovich, should be a vital part of any progressive curriculum in contemporary urban planning and design. Other Bologna conference presentations dealt with the flâneur—the writers, poets, intellectuals, and assorted others who observe city life by walking among the crowd. Although I assign a bit of John Gay when I teach study abroad in London, prior to this conference I hadn’t thought much about what the literature on flânerie could contribute to understanding and regenerating the city. I certainly learned that there’s significant debate about how to define and deploy the concept of flâneur in urban studies. 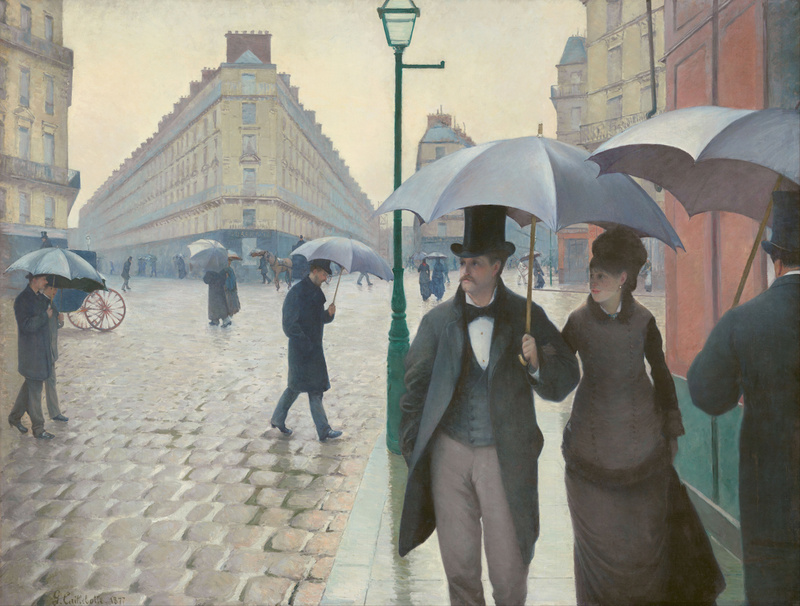 These debates notwithstanding, I was struck by the suggestion of Giampaolo Nuvolati, an urban sociologist at the University of Milan, that we might produce better urban planners—and thus better physical contexts and settings for conducting urban social life—if we require our students to experience the city as flâneurs. This suggestion dovetails with those of Bogunovich and Moretti that a transformation in planning education is required if we’re to deal with the complexity of the urban problems that bedevil us. American planning professors have independently embraced the educational challenge presented at the Bologna Contours of the City conference. This was directly evidenced by a symposium I attended at the 2013 Society for American City and Regional Planning History meeting in Toronto called “Teaching the Built Environment Outside of the Professional Box.” The most compelling of the pedagogical strategies reported in the symposium directed students to gain a sensory experience of cities via fieldwork. For example, Dan Campo of Morgan State University asks students to walk between two places in Baltimore and then tell a story about that experience that references particular sights and sounds. Margaret Crawford of the University of California, Berkeley assigns students the task of experiencing the city by not only playing the flâneur, but also by playing the tourist, the detective, the sleepwalker, and other roles. Dolores Hayden of Yale University spoke to the pedagogical utility of having students write a “poetics of landscape” as part of their graduate planning education. There’s a lot to love in these educational strategies. Especially if one appreciates the virtues of “thick description” for putting us in touch with the existential realities of urban life. While I’m not a planning professional, the original fieldwork that I ask students in my urban anthropology course to conduct in Denver’s Civic Center Park never fails to generate interesting social encounters and insights of potential use to city planners. As Giampaolo Nuvolati suggested in his Bologna conference paper, such exercises in “sensorial understanding” and story-telling are useful strategies for seeking “urban porosity” and for capturing the genius loci of cities: the sights, the sounds, the smells, the feels, the chance encounters, the brushes with human difference. And herein lies the critical connection back to Umberto Eco. Eco fused his various scholarly and novelistic pursuits together rather than maintaining a firewall between them. Carlin Romano, writing in The Chronicle of Higher Education, notes that Eco had an uncommon ability to “talk and write in the language of the street,” and that he strenuously “opposed artificial disciplinary boundaries.” Giovanna Franci, exquisite interdisciplinary thinker that she was, shared this ethos. A commitment to such fusion and fluidity, and the intellectual openness that informs it, can be risky business in the academy. However, the progressive planning educators who spoke in both Bologna and Toronto, and presumably others who are out there, invite us to act like Eco: to use personal narratives, novels, poems, art, ethnographies, and perhaps even a keener understanding of semiotics (signs and meaning-making)—which, for Romano, Eco “pulled down from the clouds”—to cultivate in their students a sensitivity to the lived experience of ordinary citizens. Pragmatist philosophers (like Richard Rorty) note that humanistic approaches, focused on thick description of the intimate and idiosyncratic (rather than approaches of a more theoretical, generalizing, and scientific character), offer our best hope of binding human beings together. It is from these little pieces of revealed experience that we might best forge a path toward human solidarity and, perhaps, urban spaces that better serve the common good. Postscript: A volume of the 2012 Bologna conference proceedings containing some of the papers discussed above was recently published. 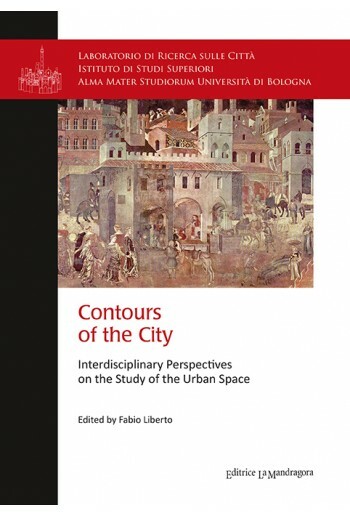 It is titled Contours of the City: Interdisciplinary Perspectives on the Study of the Urban Space, edited by Fabio Liberto. The book contains a chapter by my University of Denver and Global Cities/Global Citizenship project colleague Roberta Waldbaum entitled “The University and the City: Strengthening Students’ Global Learning”, and another by my York University (Canada) colleague Shelley Hornstein entitled “Demolition City and Modern Madness.” My chapter on “The Urban Imaginary and American Infill: Intercultural Place-Making” is available on the “Papers” page of this blog.